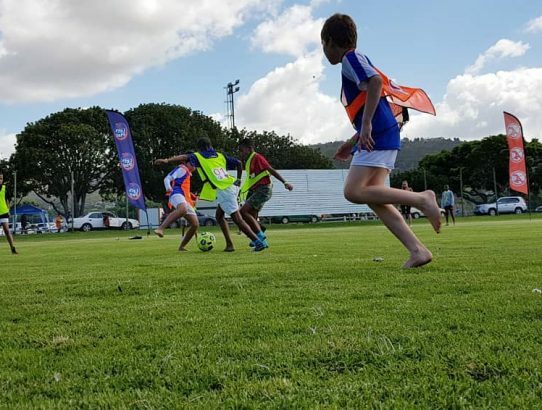 Feeling refreshed?‍♂️: At the tournament we recently attended, one of the teams didn’t have boots, so all the teams decided to play without boots. It was a small gesture, but it was such a special moment to be a part of and it made us appreciate the privileges we take for granted every day! …. We are very excited to share our football (soccer) social responsibility initiative with the public. It kicked off as a casual project and in the last 14 months has become a huge success and very professionally run. 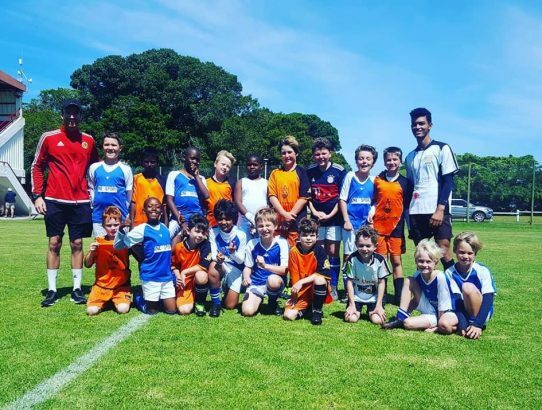 This football (soccer) charity project is based in Cape Town, South Africa and we'd like to share our players stories with you, as well as how it has developed and educated previously disadvantaged children. One of the Academy’s biggest achievements in the past fourteen months is our underprivileged football initiative. Currently we have twenty (20) players who we provide transport, training kits, boots, facilities and structured training sessions by our Accredited and Mentored Coaches. 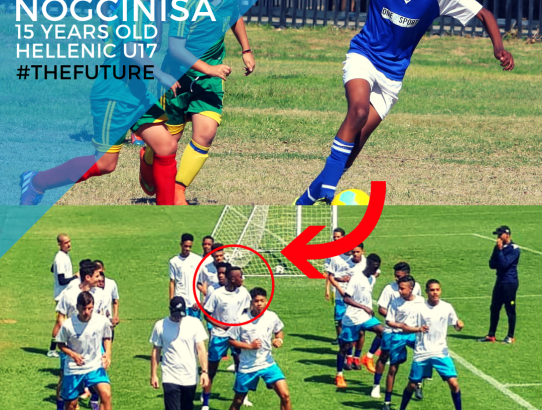 Roro Stamper, our head scout for the Langa and Gugulethu suburbs, selects talented players who are potentially subjected to unfavourable living conditions and who are not registered with any football clubs. He is well known in both suburbs as a football coach, and is a role model to many underprivileged youngsters. He generously offers his services to the academy without remuneration and has been a great asset to both the academy and the kids selected to attend the academy. The objective of the initiative is to educate the players within a structured and disciplined footballing environment. The academy quickly becomes a support base for these players and provides them with a real sense of pride and belonging. All of our selected players are incredibly talented footballers who have been dealt a difficult hand in life. For many of the players, their only chance at making a success in life, is with the support of our staff both on and off the pitch. 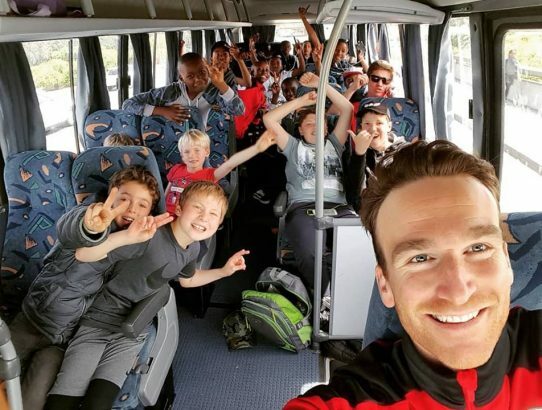 Funding is challenging and currently all our players are funded by co-owners Justin Behrens (28 years old) and Marinus de Villiers (23 years old), as well as one or two generous parents who assist on an ad hoc basis with contributions towards transport. We believe that with the players being exposed to our qualified coaching staff (equipped with degrees/honours degrees in sport, as well as holding European Coaching Licenses), that they great role models to motivate them to achieve their own success. For significant contributions, we certainly issue our sponsors with a Tax Donations Certificates though UK based Active Communities Network, who are involved and in partnership with a number of local South African and African initiatives. How to get involved as an individual or a business? To get in touch, kindly phone or email our team using the details below. Our contact number below goes directly to the founder, Justin and he will be able to advise on how to move forward, should you wish to be involved in this wonderful opportunity. We look forward to working with you and your organisation, as we strive to assist those less fortunate through sport! 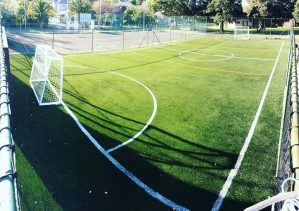 December Holiday Soccer Clinic in Claremont, Cape Town (Southern suburbs). Check out the link below and enjoy our quick new sign-up option. 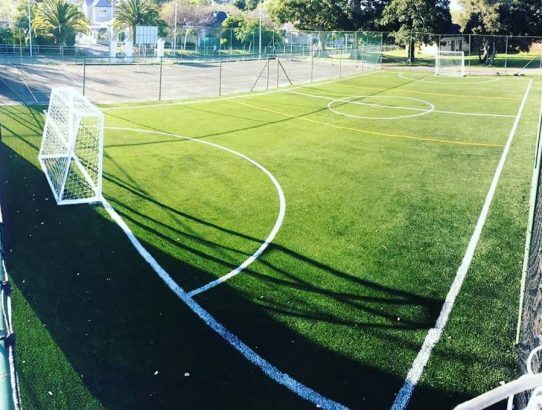 ONE10SPORT is excited to announce the launch of our Junior Hockey Programme in Rondebosch, Cape Town. The objective of the coaching programme is to assist young hockey players, beginners and advanced, boys and girls, between the ages of 11 and 13 to realise their full potential through quality coaching and mentorship. The importance of a quality coach is crucial in developing well-rounded players who are committed, motivated and who possess good leadership ability on and off the field. A quality coach is a role model to the players and is someone who demonstrates good technical and tactical knowledge, attention to detail in individual player management, natural leadership and creates an encouraging environment for all players. We are committed to this statement and ensure that all our coaches have played at either provincial, grand challenge or grand reserve challenge level, as a minimum requirement. We look forward to welcoming your junior hockey stars to the programme and watching them excel through our exciting and innovative approach to hockey coaching. Tags: Book a soccer party in Cape Town, Book sports parties for kids in Cape Town and Somerset West, Football party for kids, Football party for kids in Cape Town, Hire a football coach, hire a football coach for a birthday, Hire a soccer coach for a birthday, Hire a sports coach, Soccer birthday party organisers, Soccer birthday party organisers in Cape Town, Soccer parties for kids, Soccer parties in Cape Town, Soccer party company in Cape Town, Soccer party for kids, Soccer party in Cape Town, Sports birthday party organisers, Sports parties for kids, Sports party for kids in Cape Town, Sports party for kids in Somerset West, Where to book a soccer party. A few words from Sokratis after Day 5 on the Scottish FA Coach Education Programme🎙 Marco and Paul always keen on some camera time as well!! Designed By InkHive. © 2019 ONE10SPORT. All Rights Reserved.